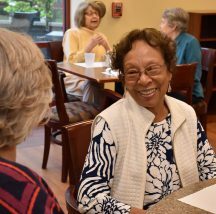 Crown Center is a diverse community, offering independent senior living options plus high quality programs and services for area adults. Life is enriched by the people and places we encounter. Here at Crown Center for Senior Living you'll find social, recreational and healthy living opportunities that reflect your needs and interests. You don’t have to live here to benefit from Crown Center. 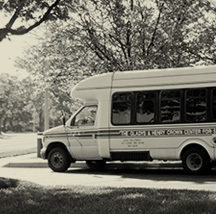 We welcome people from the area to be a part of our programs and activities, and to enjoy the comfortable surroundings. 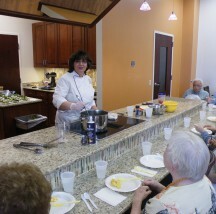 The Culinary Studio is designed for demonstrations and interactive cooking classes. Come to Crown Center and join us for our great classes, unique programs and special celebrations. Crown Center provides a unique experience for all who call it home. 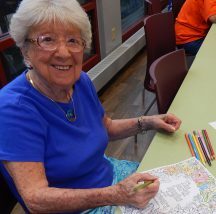 Residents have the opportunity to pursue their own interests or choose to join in a variety of high quality classes, outings and programs. Crown Center is proud to be located in University City, MO, a vibrant, thriving community convenient to Interstates 170 and 40-64. Crown Center residents walk or drive to many attractions, including shops, restaurants, local libraries and area congregations. 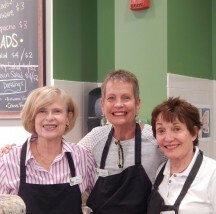 Strong partnerships contribute to the Crown Center community in many critical ways. Whether sharing their programming expertise or supporting us financially, our partners work closely with us to ensure that we fulfill our mission. 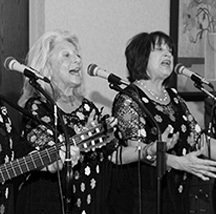 Women’s Auxiliary Foundation for Jewish Aged, a supporting foundation of Jewish Federation.